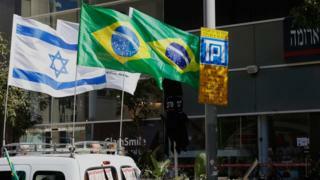 Israeli PM Benjamin Netanyahu has welcomed a decision by Brazil’s president-elect to move its embassy from Tel Aviv to Jerusalem. “I congratulate my friend Brazilian president-elect Jair Bolsonaro for his intention to move the Brazilian embassy to Jerusalem, a historic, correct and exciting step!” Mr Netanyahu said in a statement. But Palestinian official Hanan Ashrawi told AFP news agency such “provocative and illegal steps… will only destabilise security and stability in the region”. 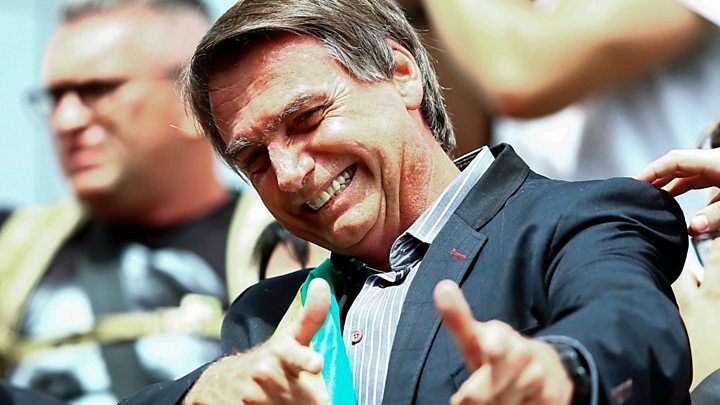 Media captionFar-right politician Jair Bolsonaro has won Brazil’s presidential election. But who is he?